There are few things more fun to watch in the filmmaking process than observing a skilled foley artist at work. 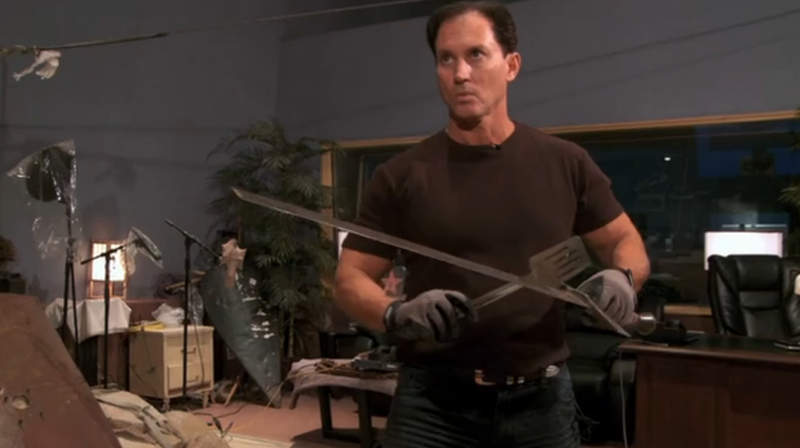 As we explore the various elements that make up the tools at the disposal of the sound designer, foley effects can be among the most expressive and vital components of the contemporary sound mix. The history of this type of sound effect is another enlightening window into the development of communicative techniques in motion pictures, going back to the powerfully inventive sound mixes of the films of director René Clair (such as Le Million, À Nous la Liberté, and Under the Rooftops of Paris) and to the source of this title, sound innovator Jack Foley, whose legendary boots and keychain were the hidden secrets of many of the most famous walks in Westerns, and whose work on his final film, Stanley Kubrick’s Spartacus, was transformative. For a brief introduction to the craft of foley artists, this Los Angeles Times short is excellent. There are also two revealing portraits available that highlight the work of foley artist Gary Hecker (and his mixer Nerses Gezalyan) – this one that starts with his work on Ridley Scott’s Robin Hood (with sound design by Ann Scibelli) and breaks down the elements of a sound effect mix very well – and an even more inspiring piece produced by the LA Times for their Working Hollywood series, in which Hecker demonstrates exceptional foley work for Hunger Games (with sound design by Lon Bender) and the creation of a wolf growl for Twilight: New Moon that is quite jaw-dropping. I’d like to add thanks to Frank Baker for pointing out the LATimes piece on Gary Hecker during our panel presentation at the NCTE Convention in Boston; it was a perfect complement to the other review materials for Moving Images Chapter 3, Sound and Image, that I have been exploring with my media literacy classes this month. 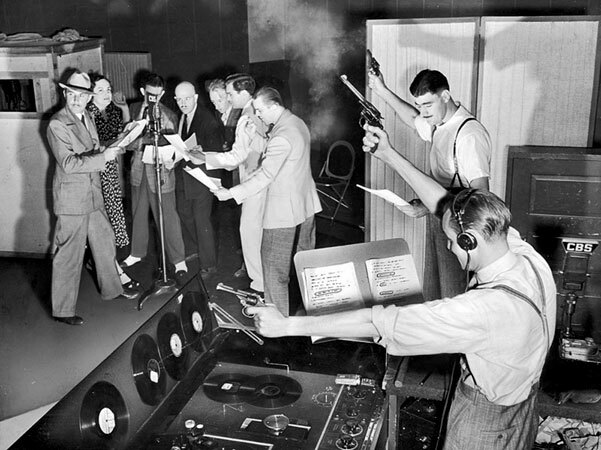 Along with my earlier post titled Sinking Into Sound, I also recommend this piece for PBSs Art Beat and this documentary on the history of the integration of recorded sound with motion pictures (included on the second DVD of the Jazz Singer set). The presentation at the NCTE 2013 Annual Convention went very well and it was a great pleasure to serve on this panel with Frank Baker and Bill Kist. It was quite fun to have been able to discuss “Film: A 21st Century Common Core Literacy” with a packed room of educators early on Saturday morning! Here is a file that reviews the PowerPoint I put together for my talk: NCTE Conference 2013. In addition, here is a document that I shared: a unit plan for the study of The Odyssey with the film O Brother Where Art Thou? by the Coen Brothers: Moving Images Critical Notebook 1d Casinghino. Don’t they love their acronyms! American public education is following the examples of the business world and bureaucratic government circles in adopting an acronym for every initiative that is launched these days. So, as I mentioned in an earlier post, this weekend I will be participating in a panel with authors Frank Baker and William Kist to discuss Film: A 21st Century Common Core Literacy. For my presentation, I will be addressing the value of incorporating media literacy education principles as a support of the guidelines and objectives of the Common Core, and I will share specific examples that I have created for media literacy classrooms which dovetail well with high school ELA curricula. In particular, I will discuss a comprehensive instructional resource that I have prepared for Homer’s The Odyssey and the film O Brother Where Art Thou? by the Coen Brothers. 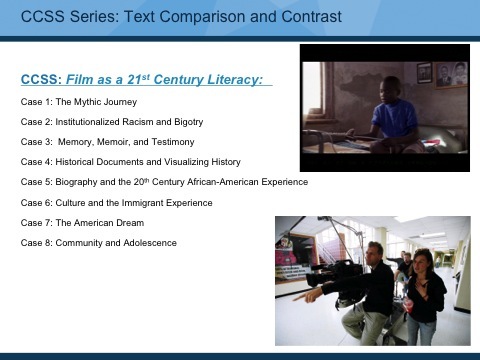 In addition, I will share conceptual ideas behind a complete set of modules that I have developed in which I link principles of media literacy development in the chapters and featured motion pictures of Moving Images to exemplar texts of the Common Core. For each of these text/movie thematic pairings, there will be performance tasks, project-based learning opportunities, and questions for use in SBAC-type assessments. Hope to see some of you at the 2013 NCTE Annual Conference! — and for those who can’t make it, stay tuned for all of the materials that I’ve described here!